(NaturalNews) A Superior Court judge has told the Grocery Manufacturers Association (GMA), whose members are responsible for defeating efforts in California, Washington State, and elsewhere to label genetically modified organisms (GMOs), to buzz off after the shady organization tried to weasel its way out of a lawsuit filed against it for breaking the law. Attorney General Bob Ferguson brought a legal challenge against the GMA in 2013 on behalf of the State of Washington, alleging that the group broke the state's campaign finance disclosure laws in opposing I-522, the GMO labeling bill that failed to pass by a mere 1 percent margin. The GMA, states the suit, sidestepped disclosure laws by concealing the identities of its donors, many of whom also contributed heavily to the defeat of Proposition 37 in California. If the GMA had followed the law, it more than likely would have lost the fight, and Washington would have become the first state to require GMO labeling. This is because Washington voters would have immediately recognized that junk food corporations like Coca-Cola and General Mills, both of which use GMOs in many of their products, were the primary opponents to I-522. 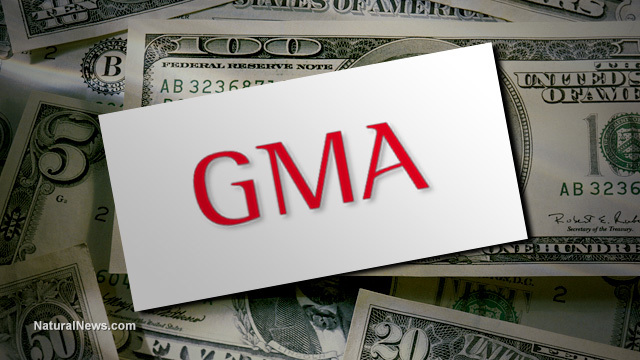 According to Ferguson's suit, the GMA intentionally laundered money to hide where it came from, creating a special fund where it was pooled together in anonymity. The GMA also failed to comply with state disclosure laws established back in 1972 that create openness and transparency for Washington elections. "Truly fair elections demand all sides follow the rules by disclosing who their donors are and how much they are spending to advocate their views," reads a press release announcing the suit. "The AGO [Attorney General's Office] is preparing to seek a temporary restraining order asking the court to order the GMA to immediately comply with state disclosure laws." "The AGO is also requesting civil penalties and costs of investigation and trial, including reasonable attorney's fees, injunctive relief and any other relief the court deems appropriate." Documents released by the Attorney General's Office reveal that the GMA had devised a five-step plan to stop GMO labeling laws from moving forward. These documents, while disclosing bits and pieces of the GMA's overall strategy, were heavily redacted, indicating the group's malevolent commitment to secrecy. The GMA's approach includes actively fending off people and organizations that support GMO labeling, promoting the images of industries that oppose GMO labeling, dispensing propaganda to the masses to persuade them to oppose GMO labeling and maintaining a unified position of opposition to labeling transparency.